A city court in Murmansk has fined the leader of Aleksey Navalny’s regional office in Murmansk 150,000 rubles (€ 2.000) for her role in organising a 5th May protest rally in downtown Murmansk. Violetta Grudina led a group of about 200 people that ahead of Putin’s inauguration showed their discontent in the streets of Murmansk. The protesters assembled in the city park at Leningradskaya Street and subsequently moved on to the Five Corner Square, a key spot in the city center. 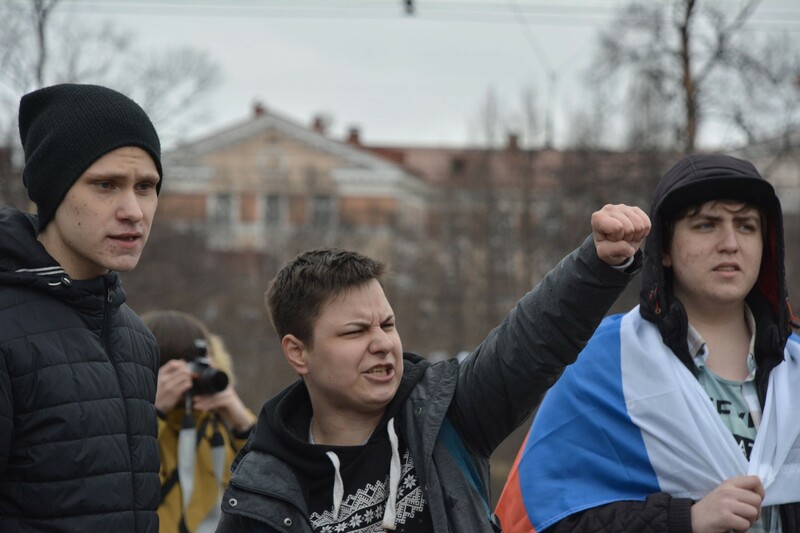 «Putin must go!» the protesters shouted as they assembled. About 200 people took part in the rally. Similar protests took place all over the country. There were riot police in the nearby back streets, but the protesters were left alone without police intervention. The demonstration had not been approved by the city authorities. The court found Violetta Grudina guilty of having repeatedly violated public law and order. According to the the activist herself, the court ignored all the arguments of the defence and gave her only few minutes to present her case, Grudina herself informs in a tweet.